Mid-Michigan Kennels has been training police and military working dogs since 1997. Our 20 years of experience has taken us around the globe. We have worked in several foreign countries in addition to training hundreds of canines here in the United States. 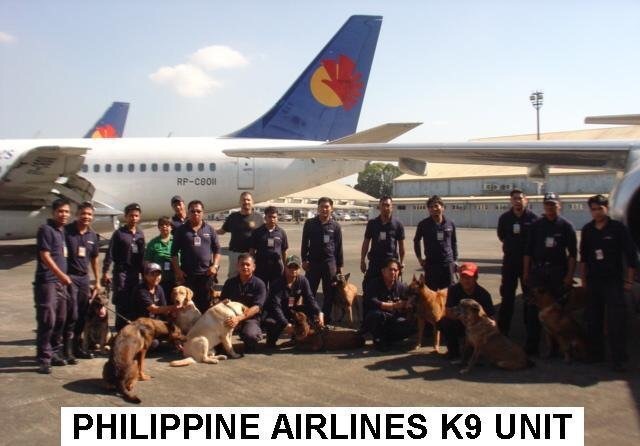 Mid-Michigan Kennels worked with the Security staff of Philippine Airlines (PAL) creating a very successful Explosive Detection Canine program. WE built their program from the ground up for them. We started with training an initial 5 handlers and one supervisor. This initial group was trained her at our facilities in Eaton Rapids Michigan, USA. After completing the initial training for the first group, we traveled to Manila to conduct a 3-week on site training course utilizing the aircraft and venues the teams would actually be working in. Over the course of the next 5 years we continued to train handlers and supervisors at our facilities and follow up with two on site visits each year in Manila. Eventually we trained 3 trainers to take over the project for PAL. The design of our program was to train ourselves out of a job and make the PAL security canine staff self sufficient, Today the PAL canine unit is a highly professional and well respected part of airline security at the Manila Aquino International Airport in Manila, the Philippines. 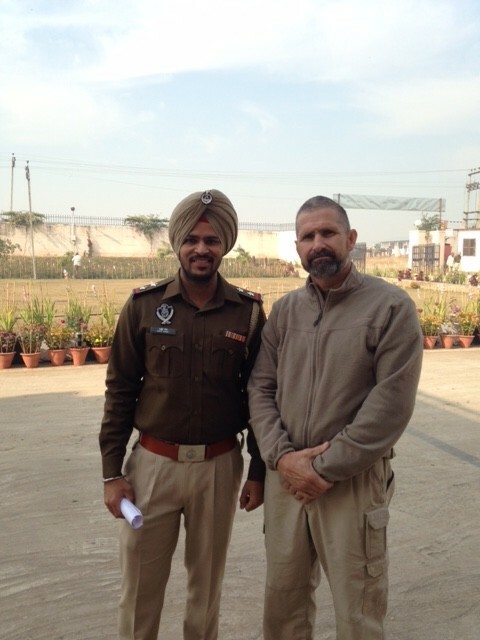 In December of 2014, Mid-Michigan Kennels Owner Mike Morgan traveled to India to the Punjab province in Northwest India near the Pakistan border. Mike help establish a canine training center for a U.S. owned security company based in the Washington D.C. area. During his 3 months on the ground there, Mike consulted on the design and construction of kennels, training facilities, and soldier housing areas. In addition, Mike selected and trained six Labrador Retrievers for the base demonstration dogs for the project. Three were trained as Explosive Detection and three were trained as Narcotics Detection dogs. In April 2015, Mid-Michigan Kennels owner Mike Morgan was again asked to assist on an international project. This time the project took him to the Nigerian capital of Abuja. Mike worked as a member of the CRT security company based out of California. 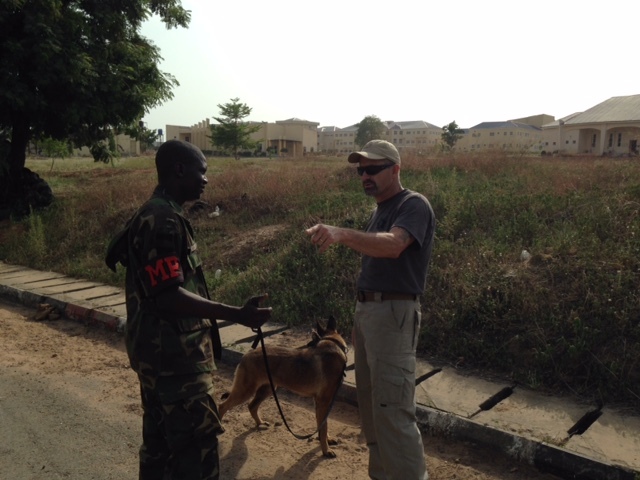 During the 3 week mission in Nigeria, Mike assisted in the basic training of almost 50 Explosive Detection canines and new handlers. This training consisted of odor imprinting, vehicles detection and road side clearing for IEDs training. Our international experiences make us the best choice for your canine training needs. We understand how to work in a foreign country where language, customs, and culture vary as does the environment we must work in. This experience means we understand how to adapt to the ever changing situations that unfold during these deployments. We also understand how to make logistics work to get the job done and accomplish the training mission. We have extensive experience in shipping dogs and equipment as well as training aids to these countries. This experience can not be learned from a video or a book. 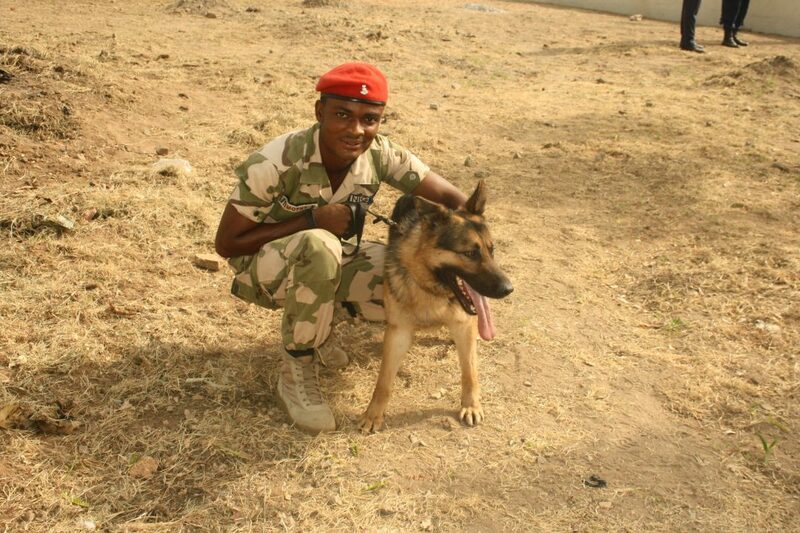 It comes from being on the ground in these countries and working with their handlers. Mid-Michigan Kennels has the experience and expertise to work on any project, in any country.